Neal and Kalai were married a few weekends ago at the Cator Woolford Gardens here in Atlanta with the reception following at The King Plow Arts Center. The weather could not have been better especially with respect to all the rain we’ve been experiencing. Ruth and Regis were here to document the day under 6 of Four and we were honored to have their talent on board. As you can see from the images below they are quite talented! 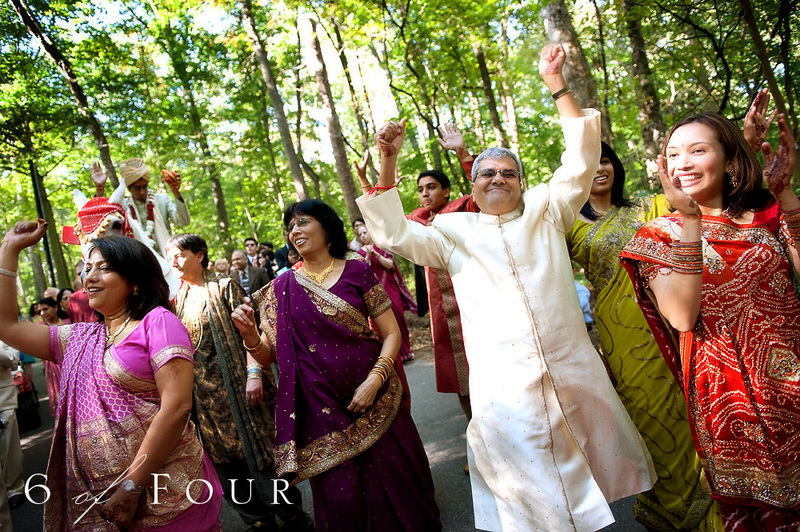 Kalai and Neal live in New York, but chose to have their wedding locally near Kalai’s family. Bold American Events and Catering took care of the decor at both the wedding and reception. It was a great balance with a modern take to a traditional wedding. Bold, of course, never disappoints! Enjoy looking through the gorgeous images from the day. Feast your eyes upon all of the color and emotion the day held. 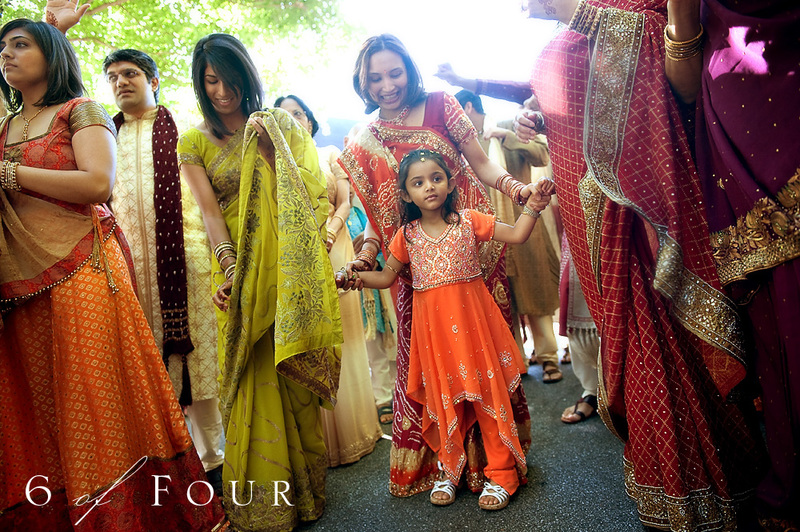 Neal and Kalai, thank you for the honor of allowing 6 of Four to document this important day in your lives. It was truly an honor. 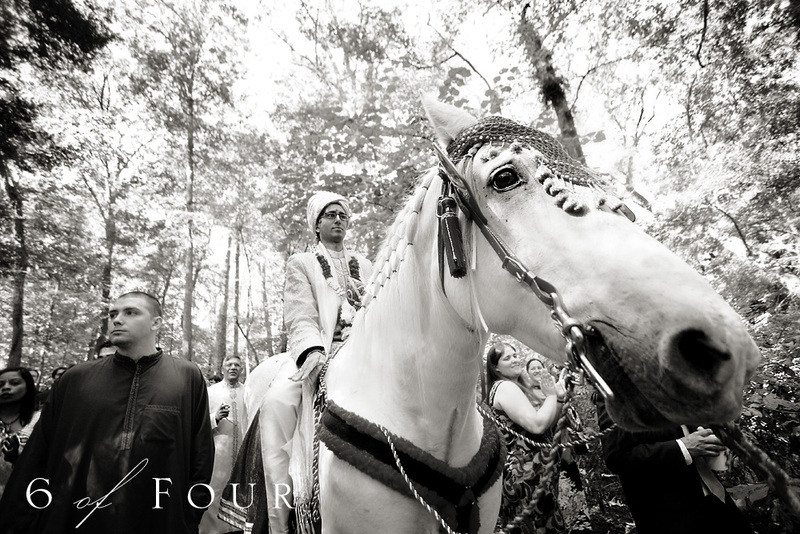 The lively barat that ushered in the groom with his side of the family. The beautiful ceremony took place outside. Neal and Kalai set aside ample amounts of time for portraits which truly set the tone for their pictures and the pace to be able to capture them in their element. I’m pretty sure Kalai can have whatever she wants when asking Neal with these eyes. Their reception was gorgeous. I loved the design elements and the favor of tea each guest received. Kalai’s outfit for the evening reception was incredibly colorful and full of details. Wow! I am so blown away by their wedding, your team captured her beauty so vividly. I am so glad we got to work with such an amazing bride, can’t wait to see more pictures of this beautiful bride!